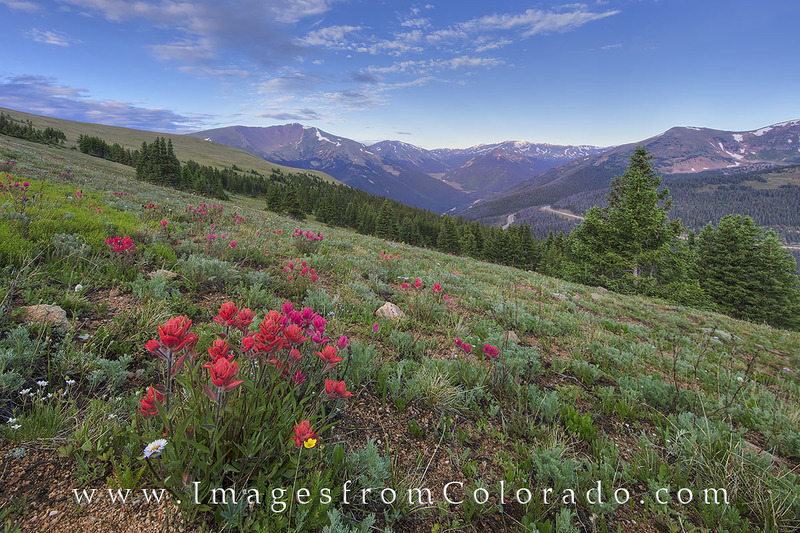 Colorado wildflowers enjoy a nice morning along the Contintental Divide Trail near Berthoud Pass. These Indian paintbrush had views of the valley and Red Mountain in the distance. Just on the edge of Grand County, this portion of the CDT leads to Mount Flora, Mount Eva, Parry Peak, and over to James Peak - all above timberline. Photo © copyright by Rob Greebon.